Tony Adam is a serial entrepreneur, marketing executive and is currently the Founder & CEO of Visible Factors. a digital marketing agency. Visible Factors provides retail brands, technology startups and large organizations services like SEO, SEM/PPC, Facebook Ads, among many others. Currently, Visible Factors is managing over $1MM in monthly advertising spend and its have or currently include Ticketmaster, Ipsy, MoPro, MoPro, and over 100 others we've worked with in 5 years.. In 2011 Tony conceptualized and founded Eventup, launching it February 2012 to be the first and only comprehensive event venue marketplace to let people find locations for events. After launching, Tony led the company to launching 12 cities and grossing $1MM in GMV in under a year.. Prior to co-founding Eventup, Tony served as a Director of Online Marketing leading all audience marketing efforts for Myspace, where he led a team that was responsible SEO, SEM, and Social Media. During his tenure, Tony was a key contributor in growing search traffic by millions of uniques monthly, helping set a baseline and becoming 60%+ of Myspace’s overall traffic..
Tony has a Bachelors of Science in Computer Science and started his career in 2002 by implementing best practices around SEO and sem. He is a regular speaker at technology and marketing conferences including Quickbooks Connect, Dreamforce, SXSW, SMX, and many others. He also writes from time to time at http://tonyadam.com/ and http://visiblefactors.com/blog. Olga is the Head of Global Marketing at SEMrush. Olga specializes in conversion and relationship marketing and has built one of the strongest communities in the SEO industry using social media. Together with her team, Olga has made social media an integral part of the marketing mix at SEMrush ensuring customer support, conferences, online events, PR and other marketing activities are supported through the social platforms SEMrush is officially using. Todd Bowman, Senior Director, Amazon and eRetail Merkle Inc.
Senior Director, Amazon and eRetail, Merkle Inc.
Todd is the Senior Director, Amazon & Product Marketplaces at Merkle. With over 10 years of digital marketing experience, Todd has worked closely with multiple IR 500 clients to effectively grow their PPC, PLA, and Amazon programs. He founded and leads the Feed, Amazon & Product Marketplaces team to ensure that Merkle clients receive industry-leading service through proper feed optimization and management. Todd is a recognized thought-leader on PLAs and Amazon Search management through his multiple Merkle Roadshows and SMX conference presentations. Jessica is Editor at Large at Search Engine Land and the founder of SEOinhouse.com, a company on a mission to make in house SEO simpler. She is a leading advocate of in house SEO, started in house SEO programs at Enterprise Rent-A-Car, Business.com and Yahoo! Inc.
Tara Brown started out doing local SEO for a small healthcare institute, expanded to strategy consultations, and is now the local search specialist for Wheelhouse DMG, a digital marketing agency with a focus on driving stellar performance for clients with practices deeply rooted in a core set of company values. She has worked with a diverse set of clients, from small local businesses to The Metropolitan Museum of Art. Her primary client, however, is Providence Health, an organization encompassing around 1,000 locations, 25,000 physicians, and serving approximately 5 million patients nationwide. Her partnership with Providence has provided unique opportunities and insights. Employing an agile strategic approach in optimizing a huge and constantly growing number of listings is no simple task, but one that they have had great success in implementing. Their shift to focusing on local has proven immensely rewarding, and continues to adapt with local’s trajectory towards a more sophisticated, engaging, social, and informative space. It truly has become not only the face but the hub of operations for local practices online. Bruce Clay, President Bruce Clay, Inc.
Maria joined Adobe in 2010 after 4 years of experience in Search Marketing at a full service Internet marketing agency where she built out a 7-person search team, owned the development of company best practices, and operating processes for the search marketing department. During her first two and a half years with Adobe Maria provided Search Marketing consulting for Adobe clients including multiple Fortune 500 companies. Most recently Maria has joined the in house search marketing team to drive and own entire search platform including Adobe product tool enhancements, troubleshooting, training, and processes. Maria works closely with the search marketing strategists on driving testing strategies across multiple lines of business. Maria had had a total of 8 years of hands on experience creating and implementing successful search marketing strategies. Annie Cushing is an SEO and analytics consultant. Her areas of expertise are analytics, technical SEO, and everything to do with data - collection, analysis, and beautification. She's on a mission to rid the world of ugly data, one spreadsheet at a time. If you just can't enough data visualization tips, you can check out her blog, Annielytics.com. You can also follow her on Twitter at @AnnieCushing or connect with her on LinkedIn. Nicolas Darveau-Garneau (“Nick”) is Google’s Chief Search Evangelist. He works with Google’s most sophisticated advertisers to help them improve the profitability of their Google marketing investment. Previously, Nick ran Google’s search specialist team and the USA and Canada’s performance sales teams. Nick also launched and managed Google’s Montréal office. Nick has been an Internet entrepreneur since 1995. He was part of the founding team of MSN.com; was the co-founder of four Internet companies (imix.com, Liquor.com, BigDeal.com,and Fanhood) and has advised many companies like Famo.us, SommSelect, Poka, Idilia. Before falling in love with the Internet, Nick was a management consultant at McKinsey & Co. and a senior equity analyst at Sanford C. Bernstein, a top ranked Wall Street firm. Nick graduated with a Bachelors in Mathematics from the University of Waterloo and an MBA from Harvard Business School. Vaishali is the Partner Group Program Manager for Bing Ads Engineering. She leads the Bing Ads Planning and Product Advisory Groups, engaging with our agencies and advertisers to ensure we are building what they need. Vaishali has been at Microsoft for 14 years and in Bing Ads for the last 6 years. She started as a product leader on the ad serving platform, focusing on platform simplification and experimentation capabilities. Vaishali led the R&D work in moving Sales from Y! to Microsoft, transitioning the $4B business with no negative customer impact. Eric has been speaking about digital marketing for more than a decade. He keynotes many conferences every year, including this year's Pubcon Las Vegas in a joint keynote with Gary Illyes, and at State of Search. Eric is lead co-author of The Art of SEO (http://shop.oreilly.com/product/0636920032908.do), and also writes columns in sites such as Search Engine Land, and Moz. Eric is a General Manager at Perficient Digital, and was the Founder and CEO of Stone Temple Consulting (STC), a 70+ person digital marketing agency based in Massachusetts, and Perficient Digital offers content marketing, SEO, PPC, conversion optimization, and more services. Perficient Digital's clients include some of the world's largest e-tail sites and brands. Bryant has over 13 years of Digital Marketing & Ecommerce experience, and his keen insight on harnessing the power of paid advertising have seen him tagged #PPCDictator amongst the PPC chat community, and curiously #HoneyBadgerOfTheInterwebz, along with #PegasusWhisperer. Most recently Bryant was dubbed the #ThePurpleWizard as he started and lead the advertising team at Purple that has helped garner over a Billion Video views in 2.5 years and many good nights of sleep provided to the masses. He has worked in-house for Fortune 500 companies like Choice Hotels, as well as up and coming media companies like Purch. He also enjoys consulting for advertisers, including GreenDot, KuruFootwear, Rhone, Groove Rings, and more, where Bryant quietly insists on doing his own stunts. Bryant is like the Bob Ross of advertising and conversion rate optimization. "Without the right messaging and design when a user gets to a landing page, you are essentially throwing money down the drain" he says. Just happy little conversions everywhere. Jenny Halasz, President JLH Marketing, Inc.
Steve Hammer is the President and co-Founder of RankHammer, the 2015 US search awards small agency of the year. Steve is a sought after speaker on the subjects of search marketing, PPC and analytics. In particular, he has been noted as a leader in AdWords Scripts and Google Tag Manager. Steve's experience in online media and traditional marketing allows a strategic and long-term view of search marketing. He has achieved extraordinary and sustainable results in several competitive online industries often exceeding growth rates in excess of 50% per year. Steve has held a number of exemplary positions including Director of Search Marketing for ACE Cash Express, General Manager for Stir, and a practicing Chemical Engineer for BASF. He holds a MBA from the prestigious Kellogg School of Management. 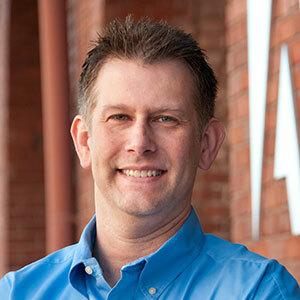 Steve is very active in the Dallas and Search Marketing community, as a former VP of the DFWSEM. He has spoken at prestigious meetings and conferences including SMX Advanced, Pubcon, ClickZLive, State of Search, Ignite e-commerce and Interactive Insights Summit. He will be teaching a course at SMU on AdWords beginning this March. Mellissa Jensen is an 18-year search marketing veteran, specializing in global enterprise search strategies. She currently serves as the Marketing Manager for Content and SEO at Cisco Systems where she is developing comprehensive content strategies based on business objectives and user needs leveraging insights derived from Intent Modeling. In her previous role as VP of SEO at Global Strategies, a division of Ogilvy, she lead the Technical SEO practice and served as the company’s thought leader often presenting at industry conferences. Mellissa has worked with some of the most recognizable companies including Intel, Thomson Reuters, DuPont, and Adobe. Working with these complex organizations provided the opportunity to master scaled SEO localization strategies across global enterprise sites leveraging technology, automation, workflows, and training to maximize efficiency across GEOs while providing search engines the strongest local signals. When she is not researching and testing the latest evolution of search you can find Mellissa on the trails in Bend, Oregon running with her golden retriever Barkley, paddle boarding down the Deschutes River, or just hanging out on the porch with a glass of Four Roses watching the sunset with her husband Andre. Zenia is a Chicago native who joined the 3Q Digital team in March of 2017. She has more than 6 years of experience managing paid media for clients in a wide range of verticals, with a client portfolio that includes Ulta Beauty, Northwestern Mutual and Miami Children’s Hospital. 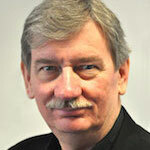 Detlef Johnson is Editor at Large for Third Door Media. He writes a column for Search Engine Land entitled "Technical SEO for Developers." Detlef is one of the original group of pioneering webmasters who established the professional SEO field more than 20 years ago. Since then he has worked for major search engine technology providers, managed programming and marketing teams for Chicago Tribune, and consulted for numerous entities including Fortune 500 companies. Detlef has a strong understanding of Technical SEO and a passion for Web programming. As a noted technology moderator at our SMX conference series, Detlef will continue to promote SEO excellence combined with marketing-programmer features and webmaster tips. Lynne Kjolso is General Manager of Americas SMB Search Sales for Microsoft Search Advertising. 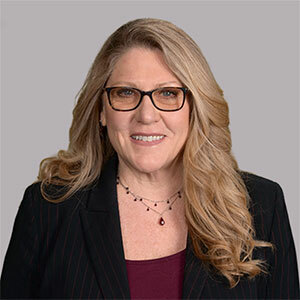 A career search leader, Lynne has led sales, account management and operations teams for the Bing Network, with a particular focus on small and mid-market businesses and partner channels. Lynne has led search sales teams in North America, EMEA and Asia Pacific, and has played an instrumental role in the launch of the Yahoo! Bing Network in the US, EMEA, Latin America, and Asia. Prior to Microsoft, Kjolso was Director of Corporate Communications for AT&T and Expedia, and a customer experience / satisfaction researcher and consultant at Service Intelligence in Seattle. She holds an MA and PhD from the New School for Social Research in New York and a BA in Sociology from Kenyon College in Ohio. John Lincoln is CEO of Ignite Visibility (a 2017 and 2018 Inc. 5000 company) a highly sought-after digital marketing strategist, frequent industry speaker and winner of the coveted Search Engine Land "Search Marketer of the Year" award. Ignite Visibility is a leading digital marketing agency specializing in SEO, paid media, social media, creative, email, PR, Amazon and CRO. Founded on the principals of relationships, responsiveness and results, Ignite has been named #1 SEO company, # 1 Paid Media Company, #1 Social Media Company and top 3 Digital Agencies in the USA. With 15+ years of demanding experience, Lincoln has worked with over 1,000 online businesses including amazing clients such as Office Depot, Tony Robbins, Morgan Stanley, Fox, USA Today, Sharp Healthcare and WeddingWire. Lincoln has authored thousands of articles, taken hundreds of websites to number one positions in Google for competitive keywords, built social communities to millions of members and worked on many advanced projects in CRO, SEM, influencer marketing, media buys, email, Amazon and affiliate marketing. Lincoln is Author of "Digital Influencer," a book about digital marketing and Producer and Director of "SEO: The Movie" and "Social Media Marketing: The Movie". Recently, Lincoln received the Most Admired CEO Award and San Diego's Top Business Leaders Under 40 Award. Currently the Senior Director of e-Commerce Growth Services at CommerceHub where she leads the team in search and account management for brands and retailers in Seattle, WA. Previously, Elizabeth was the VP of Search Marketing at Portent, growing the PPC, SEO, analytics and socials media teams for almost 9 years. Elizabeth has spoken at conferences around the country, including Mozcon, SMX Advanced/East/West, HeroConf, State of Search and Engage. She is also a Lynda.com course author and co-author of Wiley Publishing's "All in One Web Marketing for Dummies." Elizabeth is honored to be able to share what she's learned at conferences and in her spare time, she likes to practice Kendo, a Japanese martial art. 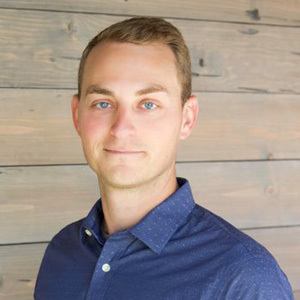 Michael Martin is the Digital Strategist at Ignite Visibility and owner of Mobile Martin in San Diego, Ca while also being recognized throughout the search marketing industry as one of the leading authorities on Mobile SEO. He taught SEO courses at San Diego State University, writer for Search Engine Land, and is a contributor to The Art of SEO : Mastering Search Engine Optimization published by O'Reilly. In his 15-plus years of Internet marketing experience, Michael has spearheaded online marketing campaigns for such global industry leaders as T-Mobile, Dell, Kelley Blue Book, Samsung, & IBM. He has previously spoken at SMX Advanced, SMX East, SMX West, SES San Francisco, SES New York, SES Chicago, SES San Diego, Affiliate Summit West, Affiliate Summit East, WordCamp LA, several PubCons, and the PMI Project Management Institute Annual Conference. Cata Milos is a Senior Program Manager for the Bing Document Understanding team. He has been driving the Document Understanding efforts for the past five years, dealing with how Bing processes the web content and semantic markup, extracting the essential information powering ranking, snippet generation, knowledge graph. Ashley is an Account Lead at 3Q Digital, where she leads multi-channel strategy and uncovers growth opportunities on key agency accounts. She developed the agency’s methodology for YouTube user acquisition while spearheading video campaigns for a global media company. For her pioneering work in the video advertising space, Ashley recently took home the Google Premier Partner Award in Video Innovation. As a key YouTube partner, Ashley worked directly with Google’s product team as one of less than 10 advertisers globally in the development of the new YouTube for Action product. She has extensive background testing and developing best practices for bidding, creative, and targeting, as well as finding opportunities for scale. Ashley also advises other video campaigns at 3Q Digital and leads YouTube pitches for prospective clients. Her past speaking experience includes the Social Media Strategies Summit and General Assembly. Katie Pennell is a Senior Performance Content + SEO Manager and member of Nina Hale’s performance content, SEO, and social team. Thoughtful, strategic, and genuinely enthusiastic about all things content, Katie is responsible for helping her clients create content strategies, maximize search visibility, and engage their audiences throughout the entire customer journey. She creates effortless rapport with her clients and ensures every recommendation she provides is rooted in data. Her work has not gone unnoticed. In 2016, Content Marketing Institute's Content Marketing Awards selected her team's work as the winner for 'Best Content Strategy' (link below). She was also part of the team selected as a finalist for ’Best Content Marketing Program for Retail’ in 2017. Max Prin, Head of Technical SEO - Search Engine Land Contributor Merkle Inc.
Head of Technical SEO - Search Engine Land Contributor, Merkle Inc.
Max Prin is the Head of Technical SEO at Merkle. The SEO technical team ensures the accuracy, feasibility and scalability of the agency's technical recommendations. Max supports Merkle's SEO department by developing SEO best practices, tools and processes through research and testing. Max is also in charge of developing and publishing TechnicalSEO.com. Helen is an Account Manager at Google, based out of San Francisco. She is focused on driving performance based digital strategy, branding, measurement, and data integration with leading business technology companies on a global scale. Helen has over 6 years of experience in the industry, with both an agency and in-house background.Outside of digital, you can find Helen skiing in Tahoe or fishing off the beautiful California coast. Lily Ray joined Path Interactive in 2018 as the Director of SEO, providing strategic leadership for the agency’s SEO client programs. Born into a family of software engineers, web developers, and technical writers, Lily brings a strong technical background, performance-driven habits, and forward-thinking creativity to all programs she oversees. Lily began her SEO career in 2010 in a fast-paced start-up environment and moved quickly into the agency world, where she helped grow and establish an SEO department that delivered high impact work for a fast-growing list of notable clients, including Fortune 500 companies. Lily has worked across a variety of verticals with a focus on retail, ecommerce, b2b and Amazon SEO. In 2017, Lily was nominated by Search Engine Land for Female Search Marketer of the Year, and in 2018, she helped Path Interactive win SEO Campaign of the Year. Although she once dabbled in the world of black-hat SEO before Google launched its Penguin algorithm update, Lily has since become an evangelist for all things white-hat, with a passion for all things related to E-A-T. Lily is currently emphasizing the role that E-A-T plays across all client verticals, and helping websites affected by recent algorithm updates improve their perceived trust and authority to provide real value to users and search engines alike. Robin Rozhon is an SEO strategist who helps brands to increase their visibility in search results and to convert organic traffic into customers and paying clients. His main focus is on all the technical aspects of SEO such as crawling, indexing, and rendering. Robin currently works at Electronic Arts (EA) but has also worked in-house for MEC and agencies on both sides of the Atlantic ocean. After leading marketing efforts for Avvo, Conrad Saam left and founded Mockingbird, an online marketing agency focused exclusively on the legal market. Called the “Gary V of Legal”, Conrad is the author of The FindLaw Jailbreak Guide, a Google Small Business Advisor and has held positions for various ABA’s Practice Management marketing committees. In his spare time, he enjoys publishing Cease and Desist letters from unscrupulous vendors called out for misleading the legal industry. Conrad is the proud owner of Zippy, the first and only chicken to be awarded the Lawyers of Distinction Top 10% Award, which recognizes lawyers willing to pay a $700 annual subscription to a plaque. Alexis Sanders works as a Technical SEO Account Manager at Merkle. The SEO technical team ensures the accuracy, feasibility and scalability of the agency’s technical recommendations across all verticals. She is a regular contributor to Search Engine Land, the Moz blog, OnCrawl, as well as TechnicalSEO.com, and is the creator of the TechnicalSEO.expert challenge. During the day lives a normal life as an SEO account manager. Currently she’s been really passionate about developing knowledge of machine learning and data science. Barry Schwartz is Search Engine Land's Contributing Editor and owns RustyBrick, a NY based web consulting firm. He also runs Search Engine Roundtable, a popular search blog on very advanced SEM topics. Barry's personal blog is named Cartoon Barry and he can be followed on Twitter here. For more background information on Barry, see his full bio over here. Chris Sherman, Partner & VP Event Programming Third Door Media, Inc. 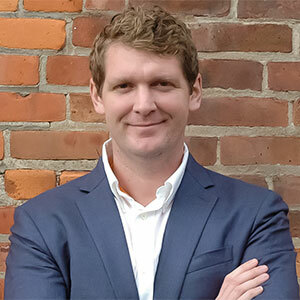 Partner & VP Event Programming, Third Door Media, Inc.
Chris Sherman is VP of Event Editorial at Third Door Media and President of Searchwise LLC, a Boulder Colorado based Web consulting firm. With over 25 years experience in interactive technologies, he is frequently quoted in the Wall Street Journal, the New York Times, Business Week, USA Today and other publications, and has appeared on CNN, NPR, CBS and other television and radio networks. Chris is a Web Search University faculty member, and is an honorary inductee of the Internet Librarian Hall of Fame. He is the author of "Google Power: Unleash the Full Power of Google" from McGraw-Hill. His previous books include "The Invisible Web: Uncovering Information Sources Search Engines Can't See" (with Gary Price) from CyberAge Books; The McGraw-Hill CD ROM Handbook, and "The Elements of Basic", "The Elements of Cobol" and "The Elements of Pascal" from John Wiley & Sons. Chris holds a master's degree in Interactive Educational Technology from Stanford University and a bachelor's degree in Visual Arts and Communications from the University of California, San Diego. Chris has been unsuccessful in his attempts to persuade Stanford to strip his degree so he can join the founders of Yahoo and Google in boasting about *not* graduating from the university. Andrew Shotland, President - Search Engine Land Contributor Local SEO Guide, Inc.
President - Search Engine Land Contributor, Local SEO Guide, Inc.
Andrew is CEO of LocalSEOGuide.com a leading SEO consultancy with a specialty in Multi-Location & Enterprise SEO for 10+ years. Andrew is editor of the Local SEO Guide blog which includes their definitive Local SEO Ranking Factors study. He has been a regular contributor to SearchEngineLand and co-founder of BayAreaSearch.org, the association of Bay Area search marketing professionals. Andrew has over 20 years of experience in the Internet. He was a founding member of NBC’s Internet group and former GM of NBC.com. He helped start Insider Pages, a pioneering local-social search engine, which was acquired by CitySearch in 2006. Ayat is the co-author of “Conversion Optimization,” an Amazon.com best-selling book, In her book, she combines ground-breaking marketing research with powerful story-telling and case studies to demonstrate how to leverage these principles to create killer websites. Ayat provides one of the most comprehensive lists of strategies and actionable insights for helping websites capture more of their visitors into lifetime customers. She provides insights grounded in comprehensive research, the best contemporary psychology and behavioral science which any company can start implementing immediately. Ayat and her partner Khalid recently launched their new growth-hacking software Figpii into private beta. Nicola Smith is the founder and CEO of REBEL & REASON, a branding, marketing, and cultural transformation consultancy and training firm based in Atlanta, Georgia. A rebel since birth, Nicola uses her innate rebellious spirit to see possibility where others see closed doors. Nicola has spent over 17 years leading strategy around a myriad of first-to-market opportunities such as mobile marketing, social media, AR, VR voice, and gesture-based interfaces for brands like Maybelline, Coca-cola, Microsoft, Nestle, GE, Cox Media Group, Nike, WeWork, and more. Now, as a public speaker, business owner, and corporate consultant, Nicola helps others develop constructively rebellious habits that do more than just command attention. She partners with business leaders in a multitude of industries to wield corporate rebellion deliberately and command results. Greg Sterling is a Contributing Editor to Search Engine Land the founding principal of Sterling Market Intelligence, a consulting and research firm focused on online consumer and advertiser behavior and the relationship between the Internet and traditional media, with an emphasis on the local search marketplace. Patrick Stox is a SEO Specialist for IBM. He writes for Search Engine Land and is an organizer of the Raleigh SEO Meetup (the most successful in the US). He was founder of the Technical SEO Slack group and was a judge for the 2017 US Search Awards and 2017 UK Search Awards. Andy Taylor is Associate Director of Research at Merkle, responsible for analyzing trends across the digital marketing spectrum for best practices and industry commentary. A primary contributor to the Merkle Blog, Dossier, and quarterly Digital Marketing Report, he speaks frequently at industry conferences and events. Prior to digital marketing, Andy worked as an event organizer for a political campaign and dabbled in freelance writing. A graduate of the University of Virginia with a degree in Economics, he likes to spend his free time watching documentaries and selling homemade ice cream sandwiches at farmer's markets with his wife. Danielle Waller, Senior Manager, Amazon & eRetail Merkle Inc.
Senior Manager, Amazon & eRetail, Merkle Inc.
Danielle Waller is a Manager on the Amazon & eRetail team at Merkle. She's worked with Amazon Advertising for over five years and received the Amazon Advertising Sponsored Ads Accreditation as an early Adopter. She provides strategic oversight on CPG and Retail Amazon accounts and has contributed to innovation in the Merkle Amazon and eRetail offering. Fili Wiese is a renowned technical SEO expert, ex-Google engineer and was a senior technical lead in the Google Search Quality team. At SearchBrothers.com he offers SEO consulting services with SEO audits, SEO workshops and successfully recovers websites from Google penalties. Bruce Clay, Founder & President Bruce Clay, Inc.
Bruce Clay is founder and president of Bruce Clay, Inc., a global Internet marketing optimization firm providing search engine optimization, pay per click, social media marketing, conversion rate optimization, SEO-friendly Web design and architecture, and SEO tools and training. As an industry thought leader, Clay is an accomplished speaker, author and educator. Clay also produces the search marketing Web series, SEM Synergy, on YouTube.com/BruceClayInc starting 2012, and is author of “Search Engine Optimization All-in-One for Dummies” -- more than 700 pages of hands-on SEO guidance, with an updated version published in January 2012. Cindy Nowicki has been laser focused on finding and engaging prospects throughout the buying cycle and expanding customer value. With the tools now available to engage prospects and measure all engagement points digitally and offline, she has never been more excited or positive about the place for B2B marketing in the buying process. January of 2018 was when Cindy and the Paid Media Operations team at ServiceNow began their journey with Adobe Advertising Cloud. In one year, her team onboarded paid search, programmatic advertising, and dynamic creative optimization. Tightly linked with the web analytics and optimization team, Adobe Audience Manager was also onboarded. Cindy will talk about how Adobe Ad Cloud has impacted multi-channel demand generation in the first year of execution and how she sees the future. JD Prater is the Quora Evangelist and a regular speaker at conferences across the globe such as INBOUND, SaaStr, BrightonSEO, and SMX. JD is also the podcast host of Grow with Quora and The PPC Show. He's an award-winning marketer with a passion for organizing data into actionable stories. JD is an avid cyclist, proud new father, and weekend traveler in his spare time. Kevin Rowe is the founder & CEO of PureLinq, an enterprise solution for contextual link building, as well as a speaker and author. He has developed programs for programs for a range of clients and industries from fortune 100 companies to Silicon Valley startups, campaigning projects for companies like Hyatt Hotels, homes.com, Kaplan University, and more. You can ready his thought leadership in Forbes, Fast Company, Search Engine Journal, and Search Engine Land.